Silom Village Inn is a contemporary budget hotel, located in Silom Road Bangkok within walking distance from BTS (Surasak Stantion) surrounded by a the shopping centre, night markets and tourist attractions. All are less than 15 minutes away. Luxurious interior to ensure your maximum comfort and convenience, our rooms feature air conditioning, safe deposit box, direct telephone line, television and mini bar. Choose from our 65 luxury rooms with our friendly staff. Silom Village Inn is an ideal location, as guests are within walking distance of shopping center, entertainment, dining, tourist attractions and business venues, such as Siam Square, MBK, Paragon and Favorite shopping night Markets such as Patpong night market and Suanlum night bazaar. Guests are just ten-minute step away from the Skytrain (BTS, Surasak Station). 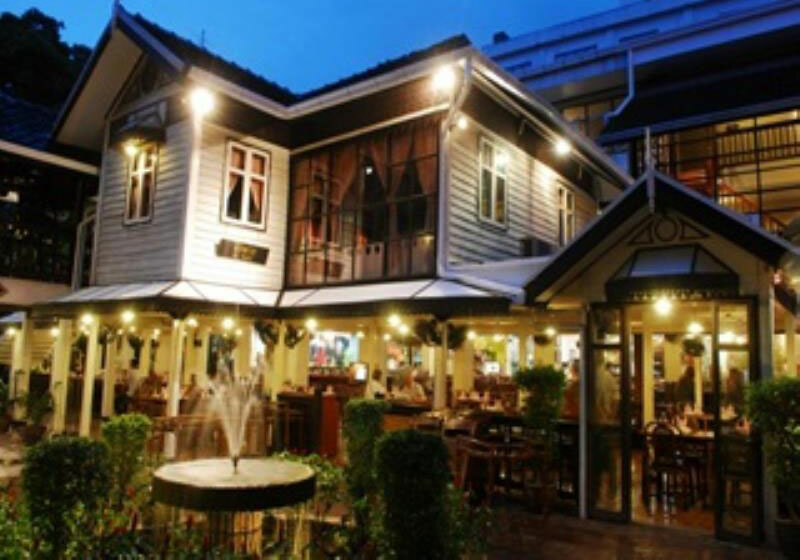 The onsite restaurant serves innovative western and authentic Thai cuisine in an intimate atmosphere. Short Description: Silom Village Inn is a contemporary budget hotel, located in Silom Road Bangkok within walking distance from BTS (Surasak Stantion) surrounded by a the shopping centre, night markets and tourist attractions. All are less than 15 minutes away.